A runner in front of me pulled up just after two miles. Two other runners passed me early. I stayed composed, focusing on forefoot striking and taking water from the aid stations. Before five miles, a fellow club runner who was marshalling told me I was in twelfth position. I now had greater motivation to work hard. On one of the steeper inclines, I passed one runner. I told him he was running great, and he returned the compliment. My pace remained consistent. I was encouraged that the runner in front was getting slightly closer. I knew I could chase him down if I patient enough. I picked up the pace, confident that he wouldn’t respond. As I passed him I again congratulated him on his running. His heavy breathing boosted my chances. I was now in tenth position. As the temperature appeared to rise I kept drinking water and pouring it over my head and back. I kept glancing at my sports watch over the last two miles. I knew the route back. It was the same as the one- and two-mile time-trial I had run in late March and early April. I looked behind and found I hadn’t extended my lead. I asked myself how much did I want a top ten finish. I responded by executing a couple of surges around the 6:00 per mile pace, and knew I had succeeded as I sprinted the last 100m over the grass of the rugby fields where I had started the race. Warming up on the grass of the rugby club before my local 10 miler this morning. There were no clouds, only sun. • Photo of @GroundedRunner by @RestorativeTreacle. I had four aims prior to the race. First, I wanted a top twenty finish. Second, I wanted to be the first runner from my club to cross the line. Third, I wanted to run my club’s gold standard of 1:01:58 for the 10 mile distance. Fourth, I wanted to run under 1:00:00, equivalent to 6:00 per mile pacing. I accomplished the first two aims, finishing in the top ten for only the second time. The first time was almost two years ago. I ran 1:03:25, which was a respectable time when considering the heat. I was pleased to have represented my club admirably, and after volunteering pre-race. I assisted in directing vehicles to park. This meant an early start, but none of my pre-race warm-up, hydration and nutrition were negatively affected. I was thankful that I could help my running club organise a well-received race. 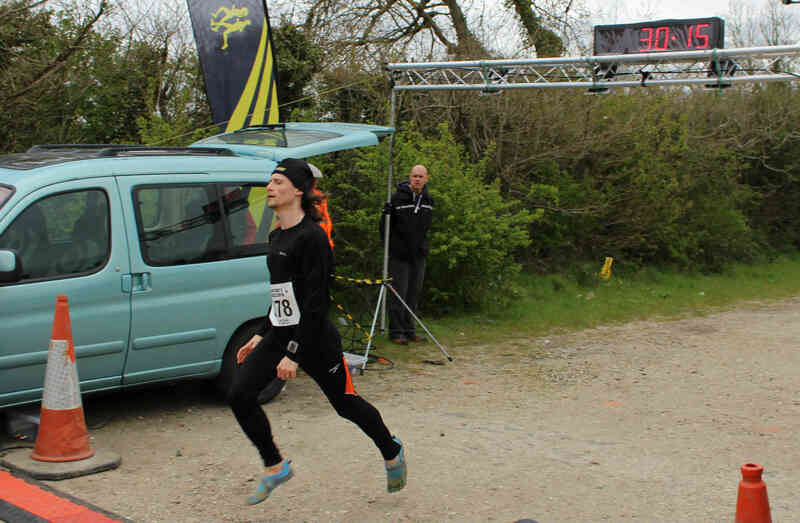 On reflection, my race performance was predictable. My training since my One Mile Challenge had been limited, especially miles at my intended race pace. Still, I feel I earnt my finisher’s t-shirt, and enjoyed a distance I had never raced before, relying on my mental strength to guide me home. Ran 1:03:25 yesterday in my first ever 10 mile race. Ecstatic to come 10th, considering the undulating course and hot temperatures. For over eight years I was an independent runner. On December 1, 2017 I changed my running status; I became a member of my local running club in Witham, Essex. In truth I had spent many months considering the decision. In theory my choice was based on wanting to grow as a runner. I believe learning by speaking to and comparing oneself with others are rewarding and essential activities if one is to realise one’s potential. The timing of my joining was also a conscious act. My off-season began after my seventh marathon at the end of October and I knew that this would be the ideal time to focus on other elements of my running, aside from racing and training with a specific goal in mind. Since joining, my perspective on running has shifted unexpectedly. My first three club workouts have been tough but enjoyable. Although I view myself as a disciplined runner, these workouts are more difficult to complete alone. The soreness in my calves for subsequent days was a constant reminder of how other runners can motivate and support me. I have also met many friendly and experienced runners, who are keen to include me and have already provided me with some technical advice and new methods of warming up and stretching. They have already taught me that experimentation keeps one fresh and focused. I do not regret the choice to become an affiliated runner. Now I experience the best of running, often training alone, but at least once a week interacting with other passionate and skilled runners. I look forward to embracing more of the club running culture so I continue to improve as a well-rounded and humble athlete. There was no pressure to run or undertake any core exercises as soon as I woke, as was my usual routine. I felt good as I walked with my family from my home to race headquarters. To reach it we walked what would be the final 400m uphill to the finish line. I found the 6:00 per mile starting section. There were club runners from the area beside me. I felt a little intimidated, closed in by serious runners. But I reminded myself that I had trained on the route many times. I made a flying start, running with fresh legs at a 5:30 per mile pace. I was soon charging up a long hill, passing my family who cheered me. I stayed in a group of runners as I ran the first mile in under six minutes. But my breathing and pacing became erratic as I tried to focus. A stitch developed on the right of my stomach but I refused to let the pain slow me. I alternated the strike of my feet, forefoot to heel. I was soon passed halfway and heading back to the start. I ignored the water station and a previously fast runner who was now walking. My first 5km was 18:48, equivalent to 6:04 per mile. I passed more struggling runners and felt hope I could run the race in under 30 minutes. But I needed to keep a faster pace. As I made the last turn up the winding, steep incline to the finish I looked back. I was alone. I avoided the potholes and gravel, as volunteers and spectators cheered me on. I sprinted but could not catch a couple ahead of me. I told my family that I could have gone quicker, and was a little disappointed that I was sixteen seconds from running under 30 minutes. However, I was pleased that I had felt strong at the end of the race. As I applauded the last of the runners I knew I could improve my future performances at this uncommon distance. 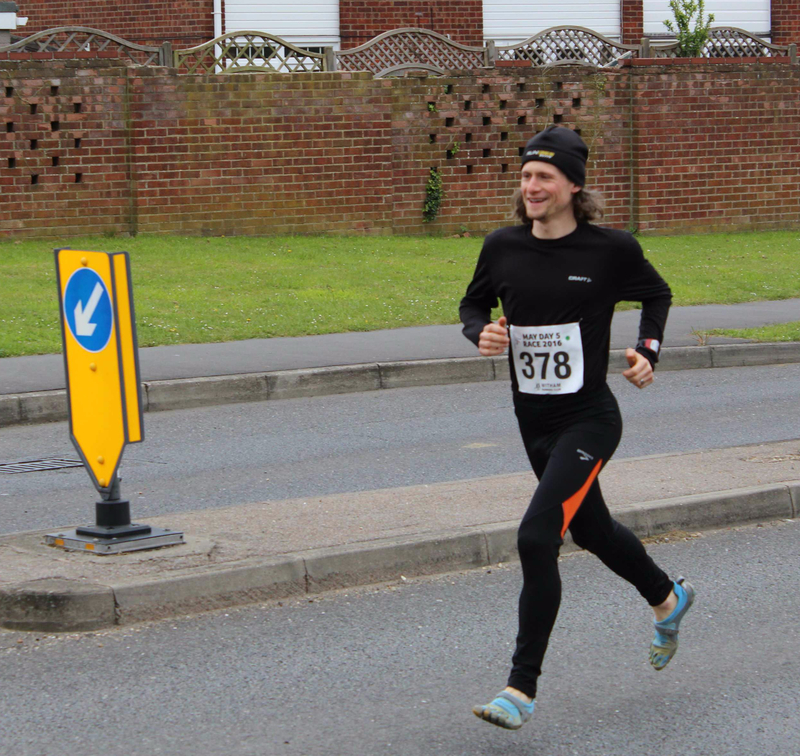 This was my first race over 5 miles, and, located a half an hour’s walk away, was the most straightforward to enter. The race exposed me to many quality club runners as the race was also the Essex Road Running 5 Mile Championships. It is the shortest distance recognised by my home county, but I was not eligible to compete as I was not affiliated with a running club. I finished as the fastest non-affiliated runner and would have placed in the top 35 if I had been. I took many positives from the race, especially my mental resolve to continually remove doubt that I would beat 32 minutes (my original goal) and not allow other runners to disrupt my rhythm. Similar to when I lived in Southend-on-Sea, my place of residence (and the familiarity of the route) gives me greater self-confidence.